" I'm glad I found s website with such a variety of good Christian movies at such reasonable prices. Thanks a lot!" The Praise Baby Collection returns with a new release named after one of the fastest rising worship songs in the church today: Forever Reign (#32 CCLI). Updated and refreshed, this new collection entitled, The Praise Baby Collection: Forever Reignincludes three brand new audio recordings and accompanying videos along with some of the most popular songs from The Praise Baby Collection’s catalog. Collectively, The Praise Baby Collection is fast approaching 400,000 units in sales life to date and is still a perennial favorite for parents, grandparents, teachers, caregivers, and for churches. 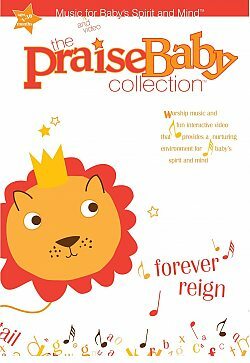 The Praise Baby Collection still holds to its promise of nurturing a baby’s mind, soul, and spirit with recognized worship music and fun interactive video. See and Experience a balanced view of the real Iraq.